According to the Prosecution, the victim Sakkeer, aged 29, who was elected as the Chairman of the Law College, Thiruvananthapuram on 16/01/1995,lost his life on the same night, as a result of a cold blooded murder. Sakkeer, an active memberof the DYFI, theYouth Wing of Communist Party of India (Marxist) had come home after he was elected as the Chairman of the Thiruvananthapuram Law College. In the midnight, the accused persons who were later identified to be sympathizers and workers of the PDP (People’s Democratic Party) constituted an unlawful assembly and armed with deadly weapons, illegally trespassed into his house and inflicted injuries on him and his father. Sakkeer tried to escape and ran to the compound of Shajahan, his neighbor and tried to hide somewhere there. The prosecution alleged that the accused chased him and inflicted several injuries with deadly weapons. Sakkeer was brought dead to the hospital. The Trial Court found accused Nos. 1 to 5, 7, 8 and 10 guilty of the offences under Section 302 and accused Nos. 6, 9, 13 and 15 to 19 were acquitted. Against the conviction and sentence, the accused filed Criminal Appeals while the father of Sakkeer, filed for Revision challenging the acquittal of some of the accused. The High Court disposed of the Criminal Appeals and the Revision by a common judgmentdated 02/09/2005, set aside the conviction as well as acquittal and remanded the case to the Trial Court withcertain directions. One of the defects pointed out by the High Court was that the accused were not properlyquestioned under Section 313 of the Code of Criminal Procedure. The High Court also held that Shajahan, who is the only occurrence witness in respect of that part of the incident which took place in his compound, was notexamined. The petition filed by the prosecution to examine Shajahan, who was at that time in Saudi Arabia, wasdismissed by the Sessions Court. The High Court also directed to examine Shajahan by video conferencing, in casehe is not available in India. He was examined through video conferencing via the Indian Embassy at Saudi Arabia. 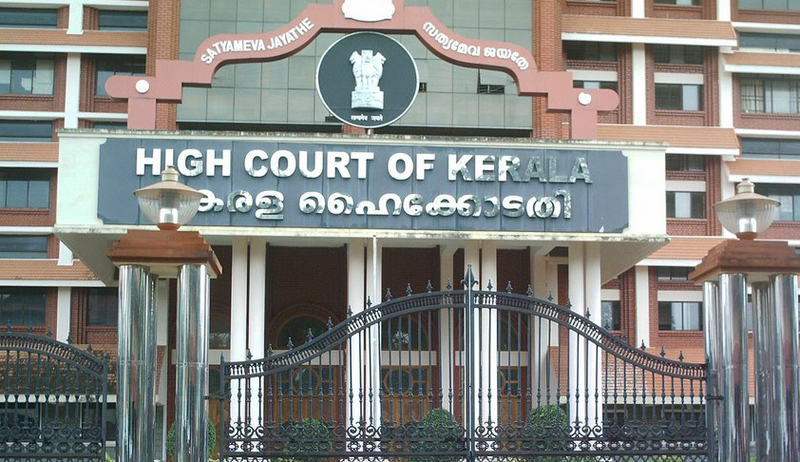 The Kerala High Court alsoheld that an “Evidence of an injured witness can be treated as natural evidence” and its judgment found the accused guilty of the offences alleged against them. The Court found the sentence imposed by the Trial Court just and reasonable. This judgment had shed light on examination of a witness in a foreign country where India has no agreement and regarding the invalidation of proceedings in absence of an oath. Sakkeer, the victim is listed as a martyr by his party members and is still remembered for his historic victory in the student body elections at the Thiruvananthapuram Law College.